Darker locations are better — away from city lights if possible — but otherwise, any location will do. You can look anywhere in the sky; there’s no need to focus on a particular location. Let your eyes adjust, and wait. You can also watch the Perseids online, but barring bad weather, we hesitate to recommend that route. C’mon. Life is short. Grab a picnic blanket. 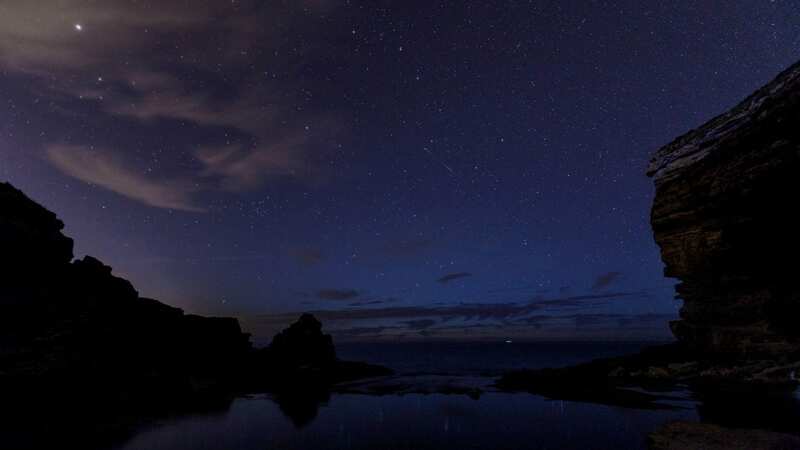 If you pay attention to the trajectories of the shooting stars in the sky, they look like they’re all coming from a point right by the constellation Perseus, NASA says — hence the name Perseids.